By Laurence Bourgeois (Eyrolles, May 2013). Could the interpersonal conflicts and criticisms bubbling away in your company be functioning as performance drivers? 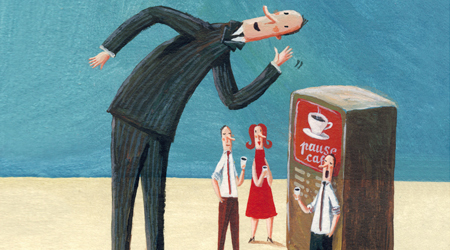 Laurence Bourgeois, an expert in human resources, suggests that the rumors, teasing, value judgments and other attacks that infuse power relations in the workplace are not as harmful as you might think. After profiling different players, the author explains the psycho-social and cultural reasons why employees engage in such power games. She then turns conventional wisdom on its head by claiming that these types of conflicts and collegial critiques actually contribute to the wellbeing of employees and companies! As well as demonstrating commitment and intelligence, criticism is an engine of creativity and progress and a driver of individual and collective performance. It also helps employees release stress and negative energy. In short, according to Bourgeois, disputes and confrontations enhance communication and create social links in your teams and are thus essential for the survival of your company. The author presents a new take on power games, which are generally regarded as negative. She shows that, contrary to the general consensus, a company does not need one single reigning consensus, or an absence of conflict, to be healthy. In short, this book is a compelling and reassuring read for all leaders contending with conflicting opinions, infighting, and rivalries in the workplace. Based on, among other, “Reinventing Office Politics” by Gill Corkindale (Harvard Business Review, 2007) and “Stop avoiding Office Politics” by Linda Hill and Kent Lineback (Harvard Business Review, 2011). 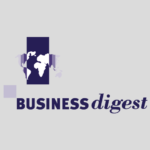 Business Digest nº 237, June 2013.